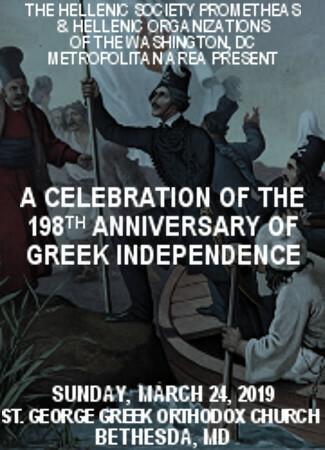 Τhe program will be dedicated to Alexandros Ypsilantis, the Great Hero of the Greek War for Independence, and will include recitation of poems and Greek folk dances. A Reception will follow. Sunday, March 24, 2019 at 5:30 p.m.